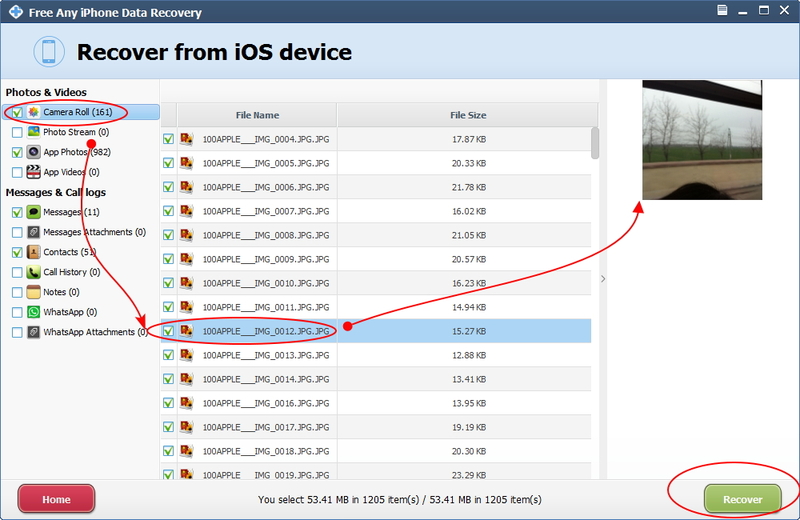 > Resource > How to recover deleted or lost photos from iPhone/iPad? Accidentally deleted photos and want to get them back? Keep reading this article to get the perfect solution. Lots of iOS data recovery programs are there, while most of them can not retrieve the whole data from iPhone, iPad and iPod. 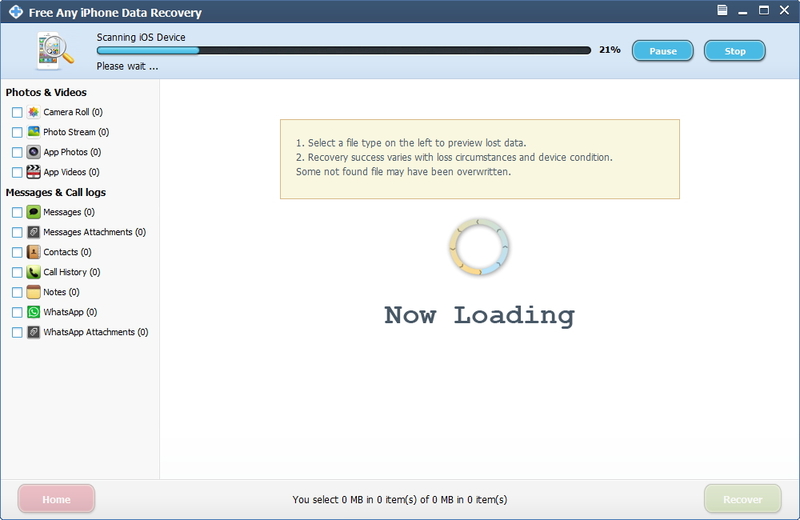 Here, we recommend you Free Any iPhone Data Recovery to recover deleted photos from iOS devices. Compared with similar ones, out testers found that mounts of photos deleted from iPhone can be retrieved while others can't. That's why we need this photo recovery software. 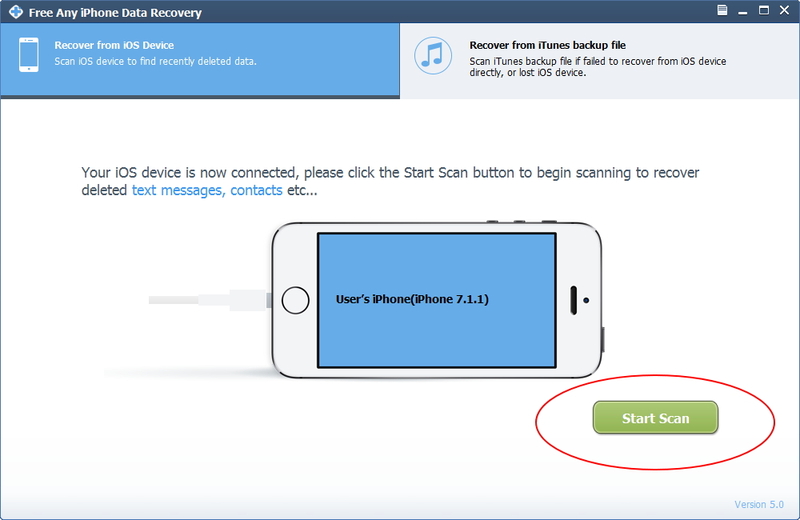 Here are steps to teach you how to recover Deleted/Lost Photos From iPhone as follows. Step 1. Install and launch Free Any iPhone Data Recovery, connect iPhone to your computer. Step 2. After that, your device will be detected, click "Start Scan" button to continue. Step 3. After the scanning, preview photos from the display list, ticket items and hit "Recover" button to restore your deleted photos from iPhone, iPad, iPod.